Lots of guys want to get "cool" gifts for their birthdays. Although the meaning of the term varies, the items in this list are almost sure to be winners. I don't know about you, but I find it tricky to get gifts for a lot of the guys I know. They all seem to know that they want something "cool," but they aren't always good at describing what that means to them. Or else they know exactly what they want: huge, high-definition, flat-screen TVs, super cars, or Harley motorcycles that are, let's face it, a little bit outside of my budget at the moment. If you have to buy for guys like this, don't fret; it's not as hard as you think to find gifts that are within the appropriate realm of awesomeness. And you don't even have to spend a ton of money to find something that they'll use with pride. Looking for more great suggestions? Christmas Gifts to Get Your Boyfriend is a good place to check out. There are few things cooler to most guys than electronic gadgets. If it's got buttons, screens, lights, is powered by electricity, and is new, he's pretty much guaranteed to drool over it. And don't automatically think that electronic gifts are outside of your budget; peripherals and accessories can often be had in the $10 to $50 range. Tablets and eReaders. 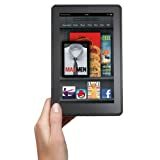 No question about it: tablets such as the iPad 2 and eReaders like the Kindle Fire are going to be hot this year. If he's already got one, no problem: there are plenty of cool cases, keyboards, and styli you can get to supplement these technological wonders. Gaming systems and peripherals. If you're willing to shell out a few hundred dollars to buy a gaming system this year, you're pretty much guaranteed to make a friend for life. Just check beforehand with the guy in question, because he's likely to have strong preference for either the Xbox 360, PlayStation 3, or the Wii. On the less expensive side are games for the console(s) he already owns, and periperhals such as the Kinect, a hands-free motion controller that allows you to play a bunch of Kinect-enabled titles on the Xbox. Computer accessories. Not all guys are into gaming, but just about everyone owns a computer. And in this economy, it's unlikely that he's had a chance to upgrade to the latest keyboard, mouse, and speakers. When making your purchase, keep an eye out for descriptors such as "sleek" and "backlit." Personally, I'm a huge fan of Logitech accessories because of their amazing customer service - when my last keyboard started having issues, they sent me a new one for free! Certain brands have built up a reputation for "coolness" - so much so that you can buy just about anything with the brand logo on it as a gift, and your recipient will love it! Guinness. Regardless of whether you're a fan of the flavor of this stout Irish beer, you probably know that it's a well-regarded brand. With a huge selection of barware (cups, mugs, bottle openers), home decor (posters and tin signs), apparel (hats, t-shirts), and other items to choose from, you'll never run out of cool gifts to give the Guinness lover. Ferrari. Cars are plenty cool, but awesomely fast supercars are even cooler than the average automobile. Do check your recipient's preference before purchasing a gift with a car-brand logo, though; loyalty is often strong, and depending on your target, Lamborghini or Porsche could be a better choice. Harley Davidson. When it comes to motorcycles, there's one brand that stands above the rest: Harley. Many guys love Harley, and dream of one day owning one of the company's classic bikes. While you might not be splurging on an engine and two wheels for his birthday, you can still get him something to fuel his dreams, such as a Harley poster, Harley apparel, or a Harley calendar. If he's lucky enough to already own one, getting him motorcycle riding gear is also a good choice. This four piece set includes four Guinness gold logo pint glasses. Give the Gift of Awesome Sound. I've never met a person who doesn't like music. It's a universally enjoyed form of entertainment. However, people don't always have a lot of disposable income to spend on entertaining themselves, so there's plenty of room to get great gifts. 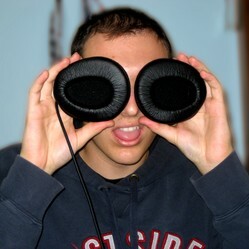 Upgraded headphones. No self-respecting guy should have to make do with the headphones that came standard with his music player. Whether he's into the environment (get him eco-friendly wooden earbuds) or prefers sound quality over appearance (a pair of ear-covering noise-canceling headphones will do nicely), there's plenty to choose from. Portable speakers. Does the guy in question prefer to share his music with the world? Portable speakers will let him listen to his music out loud any time, anywhere. The newest devices produce great sound while fitting comfortably into the palm of your hand. Music listening devices. If your dad, brother, son, guy friend, or husband still owns a player with the world "man" in the name, it's time for him to catch up with the present. Apple is the go-to company for MP3 players, but there are plenty of great options in the market. I can't say enough good things about ThinkGeek. Every time I go there, I end up finding more stuff that I want, and all of it is undeniably cool. Star Wars, Star Trek, Dr. Who gear and more. Is your gift recipient into science fiction? You're sure to find something for him here that he'll absolutely love. Whether it's a Desktop Dalek or a Star Trek Enterprise pizza cutter, it's sure to surprise and delight him. Miscellenia. It's hard to classify a lot of the stuff on ThinkGeek. From bacon soap to titanium sporks to shirts you can use as instruments, they've got cool things that you just can't find anywhere else. Hope you found what you were looking for on this list! Don't forget to vote in the poll below, and leave a comment letting me know what you think of this great stuff! Which Gift Would You Love to Get? Share Your Own Gift Suggestions Here! Great gifts for guys. Hubby's birthday is just tomorrow and trust me, I always dread the days before because buying for him a gift is just so darn difficult. Us girls have it so much easier with gifts. A piece of jewelry, some nice dress, clothes, expensive perfume, a gadget or two...everything goes really.